All you lovely moms-to-be, first of all, a hearty congratulations! Becoming a mother is the best thing that a woman can ever ask for and you, my dear, are going to be one. So very, very congratulations. Hey now, don’t stop that smile from stretching your glowing face. We understand the things that a woman goes through during pregnancy. Many things happen – some sad, some happy, some hormonal issues and let’s not even come to the topic of body issues. Even non-pregnant women have that! But a perfect outfit is all you need to cheer yourself up. So don’t let those issues come in between your happiness and look cute with these Casual Maternity Work Outfits for Winters for Moms-to-be. 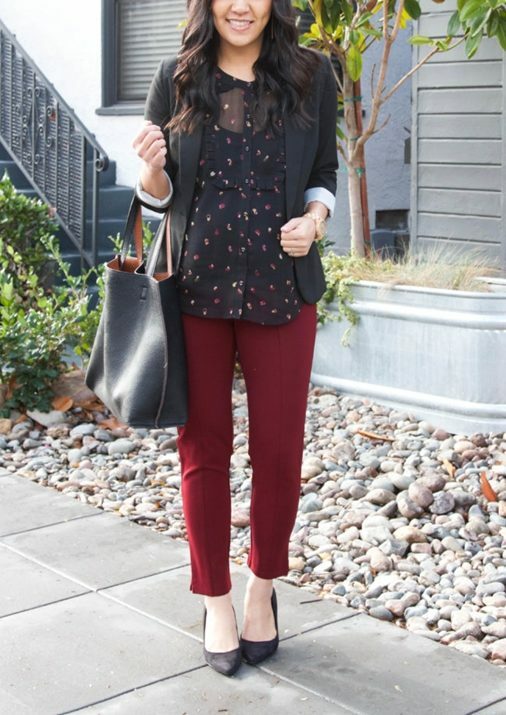 Dressing for work is a terrible task in normal days, let alone when you are pregnant and dragging yourself around. 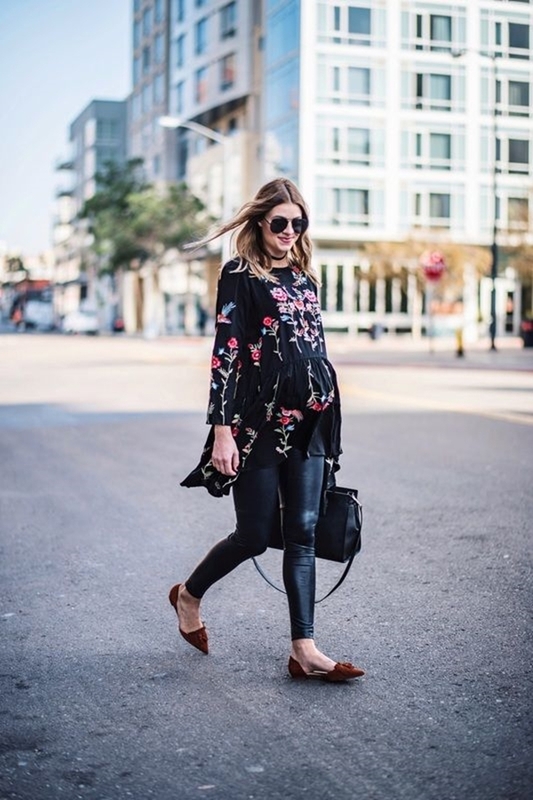 Yes, you can’t help but swoon over the changes your body goes through, but that also means a new wardrobe for your glowing pregnant body. And let’s not forget that little bump you feel so proud of. So let’s flaunt it with style and make you look classy professional. Plus, we get to play with winter staples! Hormones control your body unlike anything during pregnancy. You might feel like you are in an oven while it’s freezing outside or feel incredibly cold when the sun is bright outside. 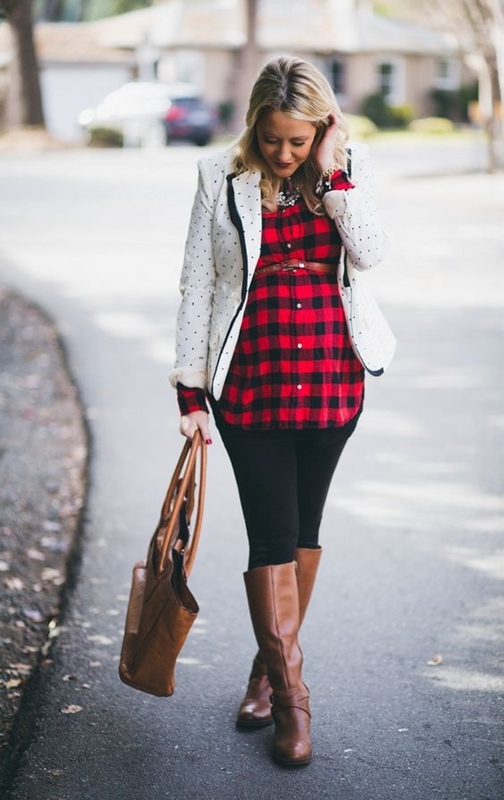 So invest in some cool maternity blouses in varying patterns such as florals or polka dots. You can pair them with blazers or sweater and just take the layer off when you are feeling hot. Also, you must give serious consideration to these pregnancy exercises. Sweater dresses will keep you warm and look absolutely stunning at the same time. Your other dresses are great but you shouldn’t touch them once you realize they don’t fir anymore of feel snug. Or you will just stretch them beyond repair. In such times sweater dresses are the best options for a comfy outfit. Sciatica pain is giving you trouble? Here is how you can get rid of it. Cardigans are something that one can style for every occasion, be it work or a date or a casual day out. 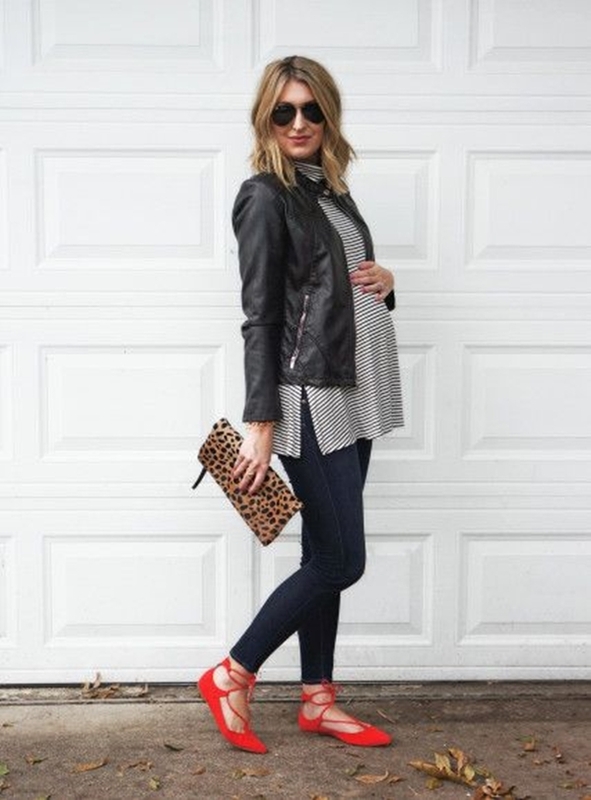 A simple tee and maternity jeans and put on a cardigan over it and you are ready. You could go for button-up cardigans for a more professional look or just go for open-front styles. 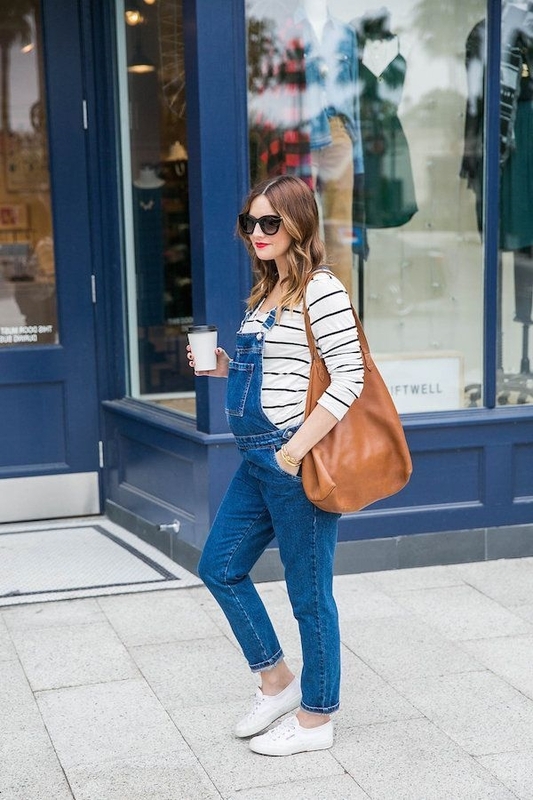 If you prefer open-front styles then even your non-maternity cardigans would do the job. Speaking of job, learn about egg freezing that is growing trend among young female professionals. A blazer adds that professional touch to any outfit and makes it rock. And it serves as a layer too! What more a pregnant woman could ask for? It’s okay if you are not really interested in buying new blazers. You can rock with your existing ones by sporting the open-front style. Match it with a dress or top-and-jeans and you are good to go. Sweaters and cardigans aren’t the only way to layer you up. That’s the beauty of winter wardrobe. You could just use two different pieces and bring them together, making it look stylish nonetheless. Pair two different maternity shirts and voila, you got a new outfit. You could try a striped tee under a denim jacket or a long shrug over a maternity blouse or a t-shirt underneath a shirt. 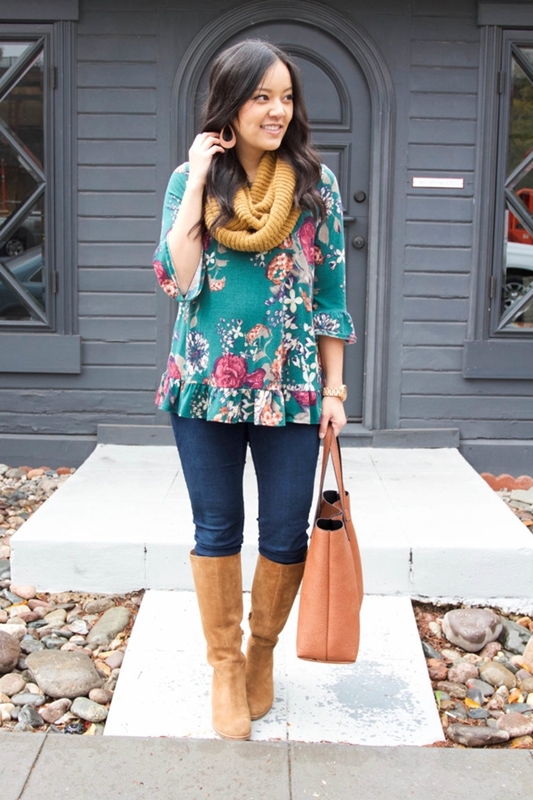 Dresses and tops with long sleeves will be great for a winter work wardrobe. 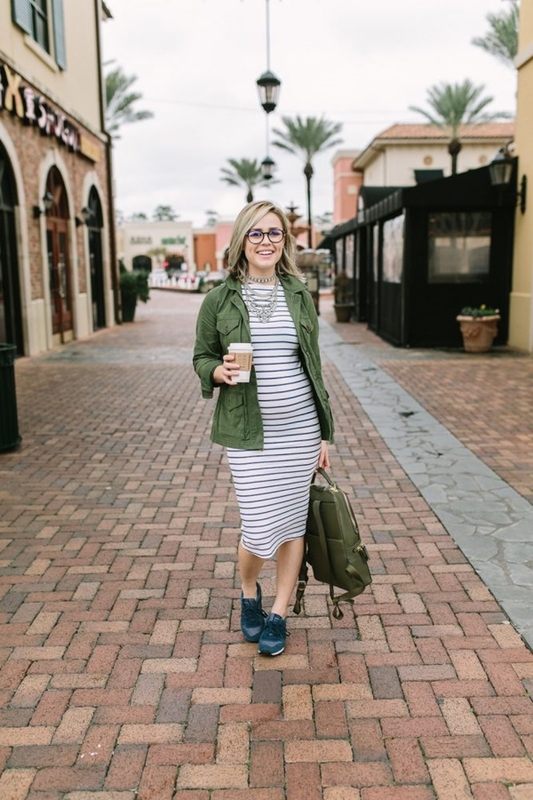 And sweater dresses are great but if you want to get something more stylish, there are many amazing maternity dresses out there for you. You can opt for wrap, ruched or fitted dresses and layer it up. 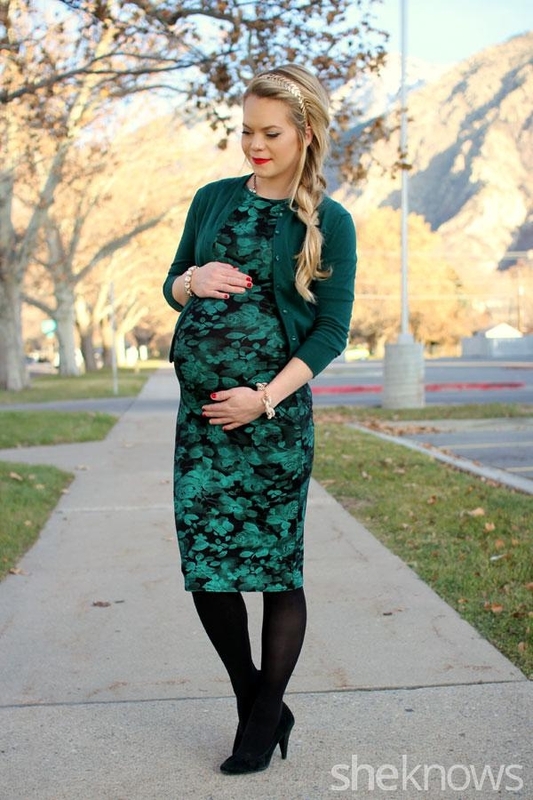 You can rock a pencil skirt in your pregnancy too! There’s no rule for that. But tights are gonna be a necessity when you are stepping out in winter. So opt for warm, comfy tights to rock with your skirts and dresses. Better get new maternity ones or you will stretch the existing ones too much. Low waits pants also need to be added in the later months of the pregnancy but with a pregnancy band, you don’t need to worry much about them. Now that you are pregnant, you gotta take a lot of care of yourself. Like, make sure not to eat these fruits. Dig out the ponchos in your wardrobe for they will serve as a great option for you. They are cozy, roomy and so will keep you comfy all day. Chunky sweaters and sweater coat will look great too on pairing with skirts and pants. Tunic sweaters look great and come in all kinds of designs that will enhance your pregnancy beauty. Stay warm and toss off those layers when you get too warm. An easy solution for a pregnant mama! Now, you wouldn’t have to shed tears every time you start getting dressed for work. Enjoy your winters and pregnancy glow!